There are so many fun things going on this week I don’t even know where to begin! When I’m not working (or drooling, yet again, over our stunning new Fashion Report photos) I will be doing the following… You should too! On Thursday I’ll be watching Cupcake Week on the Martha Stewart Show, where Jennifer Shea from Junebug member and local fave Trophy Cupcakes will be a special guest, showing Martha how to bake Chocolate Graham Cupcakes with Toasted Marshmallow Meringue. Yum! If you’re lucky enough to be in the Seattle area, head down to their adorable Wallingford bakery and vintage party supply store for a taste of the new flavor. See you there! When I get the on-line shopping urge I’ll be all over Etsy.com’s new Handmade Wedding Series. 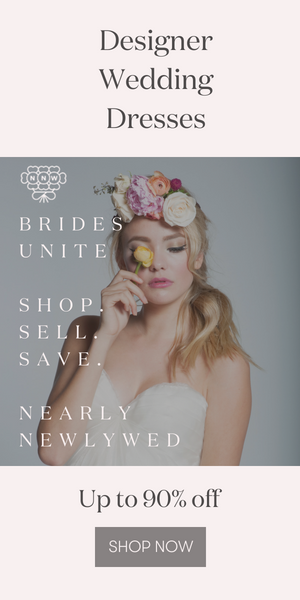 They are featuring great articles in their Storque section about wedding planning ideas with a crafty Etsy-style edge to them, written by wedding experts, artists and bloggers like Abby from Style Me Pretty, Emily from Eco-Chic Weddings, Meghan from Portovert, and me! I got to write a fun article on bridal shoes and handbags (one of my very favorite subjects.) Thanks for including us Etsy! And every few minutes I’ll be checking our brand new Junebug Weddings Facebook page, because, well, that’s what happens when Facebook fever gets you! If you’re on Facebook too, come join us! We would love it if you would check us out, say hello, become a fan and share it with your friends. You can read a mini-feed from this blog, see lovely Real Wedding photos, start wedding planning discussions and make friends with other Junebug buddies and brides-to-be. We can’t wait to meet you! What a fun week! Top Wedding Blog of 2007! I got so excited to hear that Trophy Cupcakes will be on The Martha Stewart Show too! Yay for Trophy! And fabulous article on Etsy! I saw Jennifer Shea on Martha yesterday, and had to run to Trophy Cupcakes to try her new flavor. Yum!!! !